Australia has been near and dear to my heart since I spent a year as an exchange student Down Under. Since my time on Exchange, we’ve traveled to the country four times, this last time a rushed surprise trip. 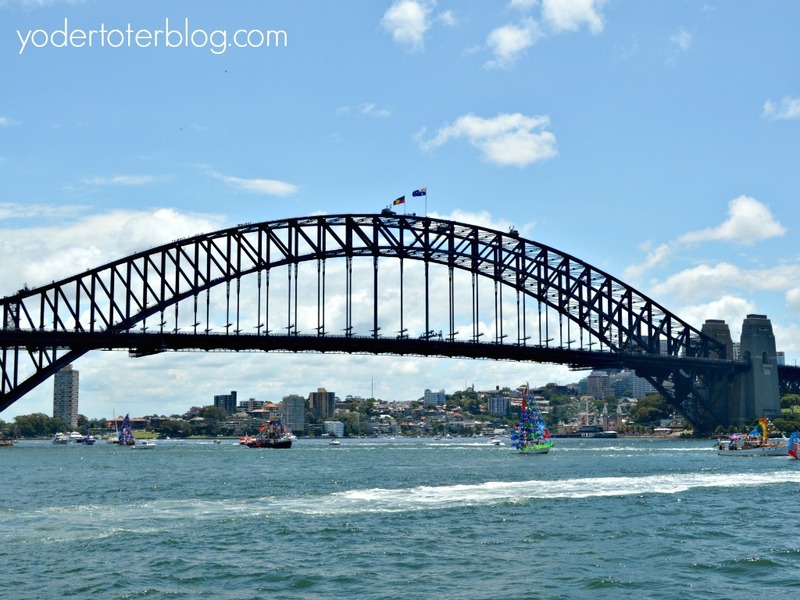 During my time as a travel agent, I shared my knowledge of Australia with many, and here’s my advice on things you must know before visiting Australia. You wouldn’t expect your friends visiting from overseas to cover the best of America is 10-12 days, yet Americans routinely think they can see all of Australia in the same time. Australia is a big country! 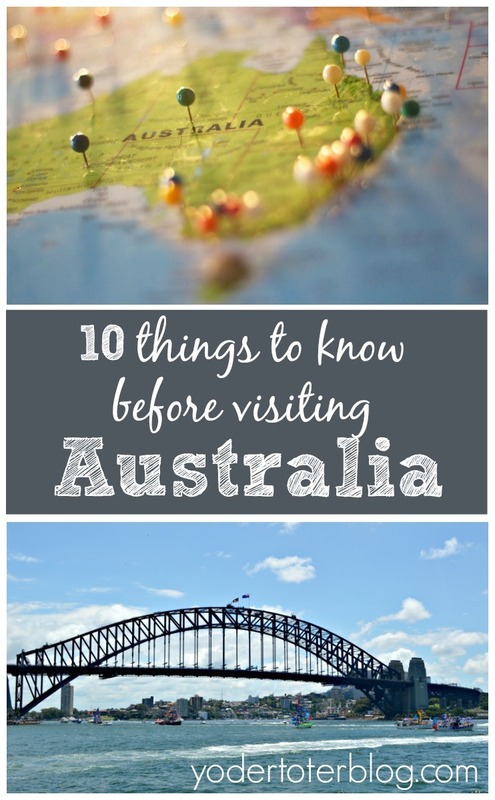 Before visiting Australia, you’ll need to make a (short) list of your must-see locations. In 12 full days, you could probably hit Sydney, Uluru, and the Great Barrier Reef, but you’d have to save Melbourne for next time. Think you’d like to drive through the Outback? From Adelaide in the south to Darwin in the north, it is approximately 1875 miles or 30+ hours of driving. Unless you have 3-4 weeks, you’ll probably be flying from place to place. From the Snowy Mountains to a tropical rain forest, Australia has many climate zones. If traveling in the winter months of July and August, you might wake up needing a heavy jacket in Melbourne, while in Cairns it would be a muggy 80 degrees Fahrenheit. In the Outback, freezing mornings can turn into warm days, requiring plenty of layers. 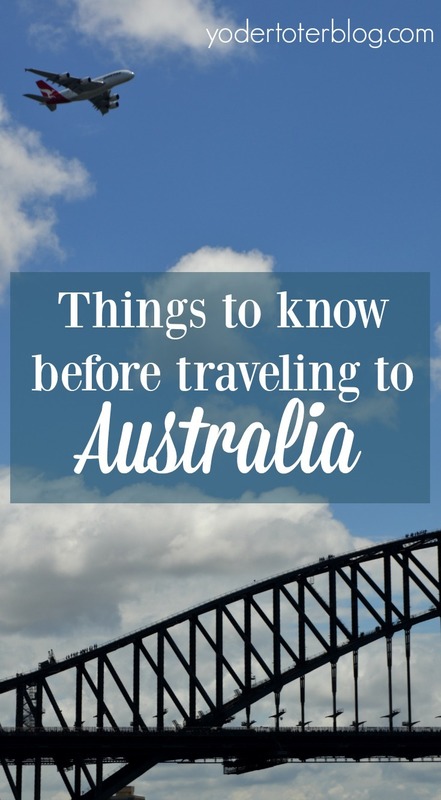 Make sure you’ve thoroughly researched what you’ll be needing while visiting Australia. If you’re in a major city, buying forgotten things at a Target or K-Mart, it pretty easy, but if you’re hoping to road trip further from the main cities, you’ll need to be prepared. No, not the Visa v. Mastercard debate. If you’re traveling from the USA to Australia, you will require an ETA – Electronic Travel Authority. This is Australia’s way of approving you to visit their country. You can get one through the official government link HERE. The ETA is electronic – unlike other countries, you don’t need to mail your passport away. Make sure you thoroughly read through the requirements and submit your info (plus $20 AUD) well before your flight. 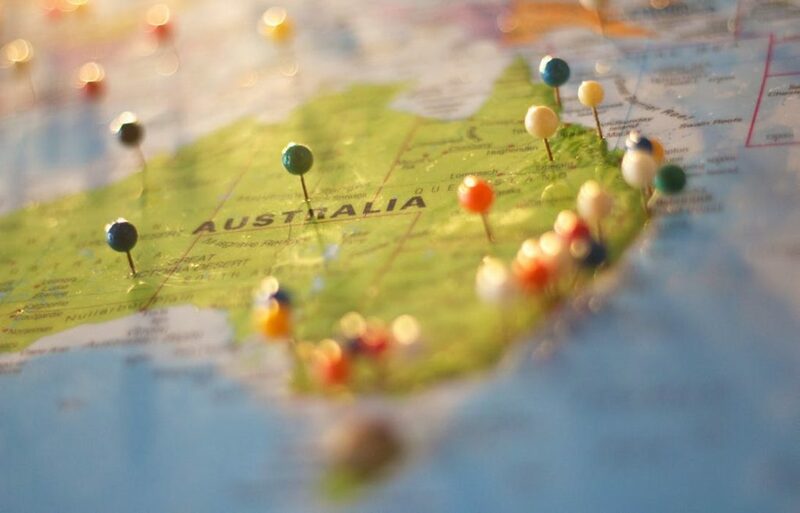 You know Australia is a large continent, but did you know that most Australians live along the coast? Australia is also very urbanized. In Victoria and South Australia, over 75% of the population lives in Melbourne and Adelaide, respectively. In Sydney, the airport is connected with downtown via the Airport Link train. You can connect at Central Station for suburb stops, or take the Airport Link into Circular Quay to reach Sydney Harbour and the ferries. The same works in reverse. Melbourne’s airport is over 13 miles from the downtown. The best way to reach downtown is via SkyBus. SkyBus will take you to the Southern Cross station in Melbourne, and from there you can transfer to a free hotel shuttle. We found this to be the fastest and most affordable option to get to our hotel – especially for a large group that would not fit into one taxi. What’s even better? SkyBus offers free WiFi, so you can check-in with family and let them know you’ve arrived. Have a plan in place before leaving home, because while traveling in Australia, free WiFi is hard to find! Our hotels did have WiFi, but it does run slower than most hotel connections that you are used to. Even staying with friends, they asked that we not browse the day away, as Australians still pay for the data they use in their homes. Yes, it’s not unlimited! That said, you understand why not all cafes offer free WiFi. While Qantas bears the logo of the kangaroo tail, there is competition among airlines within Australia. We’ve flown both JetStar and Virgin Australia and had positive experiences. Tiger Air is another airline, but due to less than positive reviews from my local friends, we avoided them. JetStar and Virgin Australia service many cities throughout the country. Check with each direct website for pricing on luggage, as it varies per the type of ticket you’ve purchased. For the most part, traveling with children in Australia is very similar to traveling with children in America. Sidewalks are accessible for stroller use. Upon request, hotels will provide cribs or pack n plays. The main difference you’ll find is in eating out. Aside from McDonald’s, Australia does not have many chain restaurants. I’m not a fan of chain restaurants, but they do provide a consistent experience when traveling with children. Not all Australian restaurants will have the high chair you’re used to, or the children’s cups. We often dined at “clubs” – places like the Royal Services League, Bowling Clubs, Golf Clubs – places that are set aside for groups of people that you’re able to sign into as a guest. Because many of these places cater to members, they will have something for the children- a kids room, a playground, etc. Service at the club or pub is typically a “place your order a take a number” type! We liked that we could get the kids drinks beforehand. Note though, there aren’t typically kids’ meals or child sized drinking cups. You may want to pack a few disposable sippy cups in your bag, as we did for our two-year-old. Dining in Australia is usually more expensive than in the USA. One night in Sydney we stopped at a local pub for dinner, for four meals (the youngest split one), 2 beers and 3 small sodas, our bill was over $105 Australian. This was before any tip – which is not required, but a nice gesture. 9. You’re more likely to fight a koala than step on a snake. Ok, not completely true! Haha! But while Australia is host to a slew of deadly animals, you probably won’t see them. Yes, there are snakes and spiders, but common sense behavior will help you to avoid a bite. If you’ve left your shoes on the floor overnight, shake them out in the morning. Redback spiders in the Sydney area likely to make shoes their home. If you’re walking on a trail, pay attention not a step on a snake. Just keeping your eyes open goes a long way. That said, a sighting of kangaroos and koalas is what most overseas visitors come for! While they have the reputation of being cute and cuddly, neither are! Feel free to admire- from a distance. 10. Pig out on Chipotle before leaving home, because Mexican food is hard to come by. Have you been to Australia? What’s your #1 tip?